The Nikon D600 features a full frame 24 megapixel sensor that is designed to maximize image quality, especially in low-light situations. I'm really hoping that the Nikon D600 is part of a trend. What I'm hoping for is a move toward smaller, lighter and significantly less expensive full-frame digital SLRs. What is full frame? 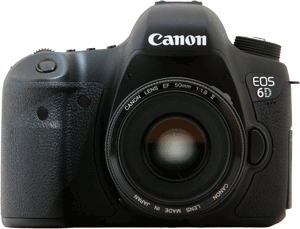 It means that the sensor inside the D600 is the same size as a frame of 35mm film. This larger-size sensor is capable of capturing images with blurrier backgrounds and higher image quality, especially in low-light situations. Previously full-frame cameras were designed specifically for professional working photographers: they were big, heavy, feature-rich and very expensive. The Nikon D600 aims to bring full frame down a notch, from the "professional" level to the "enthusiast" level — people who really like taking pictures but aren't charging thousands of dollars to shoot weddings. Does it succeed? 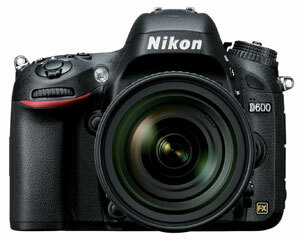 Somewhat: the Nikon D600 has a body size and shape that is closer in scale to the immensely popular Nikon D7000. However, the price - still above $2,000 USD for the body only is still well above what many people can afford. Simply put: you have to really want a full-frame camera and have the skills to use it to justify dropping this much cash on a digital camera.